Day 7 saw the Pacific island swimmers bring down the curtain on their World Championships with ten swimmers from seven countries competing in nine events. There was just time to collect a couple more personal bests and a chance to reflect on the successes and challenges of the week, whilst having an eye on future plans. It’s been a good week for Debra Daniel at this week’s World Championships in Russia. Representing the Federated States of Micronesia. She got the Pacific islands off to flyer. 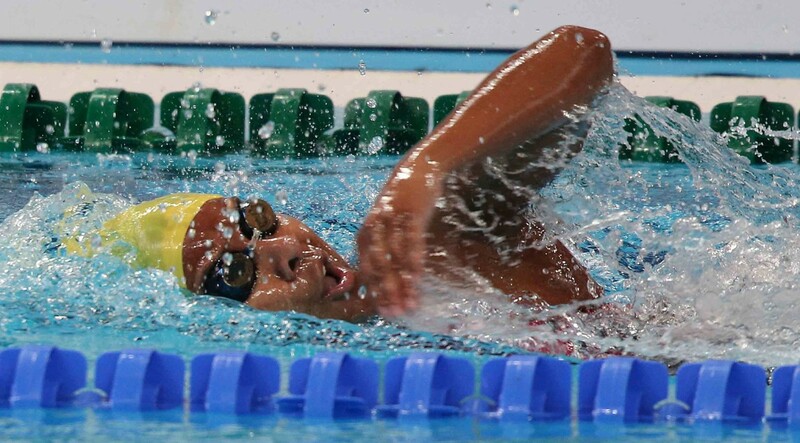 After the recent Pacific Games in Port Moresby, she was the proud holder of no fewer than eight national records in the pool. All of them gained in Papua New Guinea. Debra was eyeing another in her Heat of the 50m Freestyle in which her own national record was 31.30 seconds. That was soon reduced to 30.48 seconds as she touched the wall first in her Heat. “ I’m both tired and feel awesome! I just got my head down and died in the pool. I think I’ve been swimming really well at this competition and I’m really happy with it, I was hoping to get 29 seconds, but oh well,” she said with a contented smile. As she leaves Kazan, she’ll be carrying a national record as well as a personal best back with her. 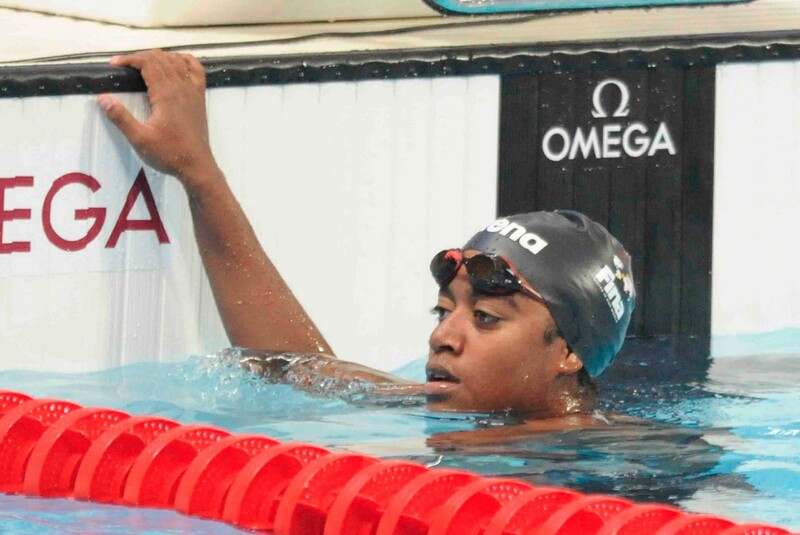 It was a second Personal Best in as many days and swims for Northern Mariana’s Angel De Jesus. 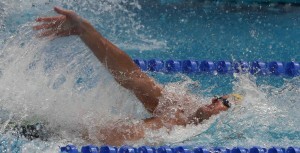 This time in the 50m Freestyle. 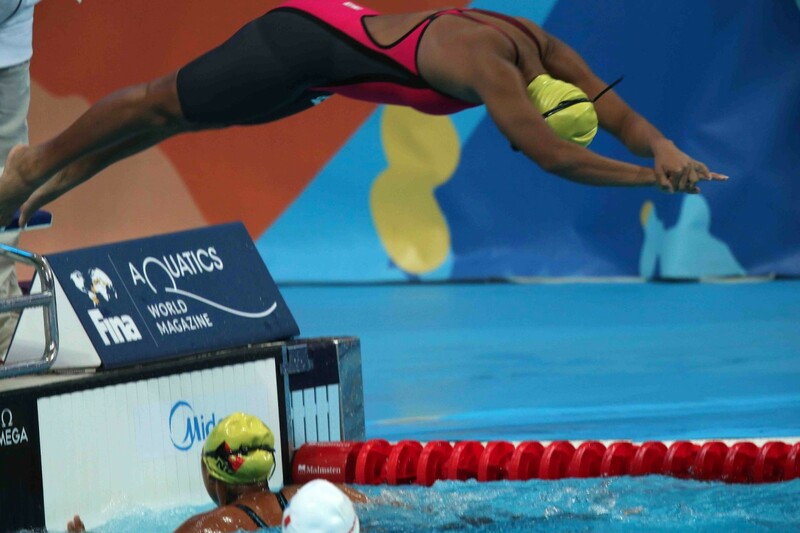 Her reaction time off the blocks was quick at 0.65 seconds increasing her chances of a good swim, and that is exactly how it turned out. 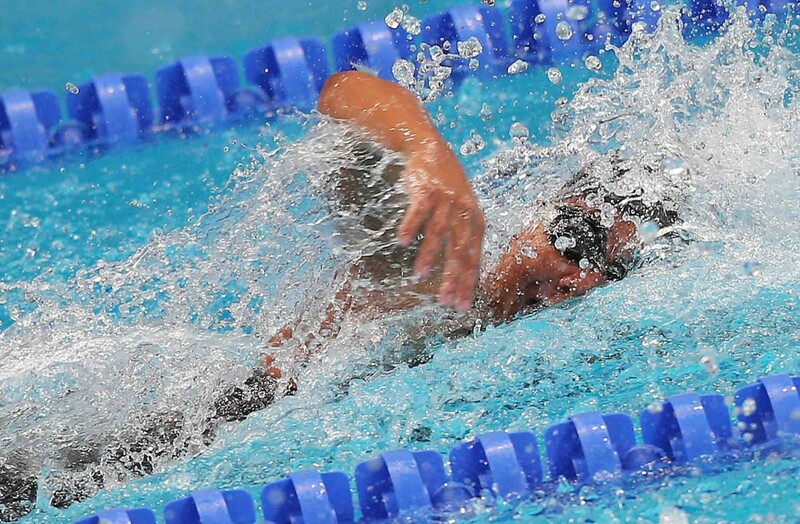 She raced to a time of 30.57 beating her personal best time. “It was difficult but I did well ... I cut 0.10 seconds off my ‘C’ time. 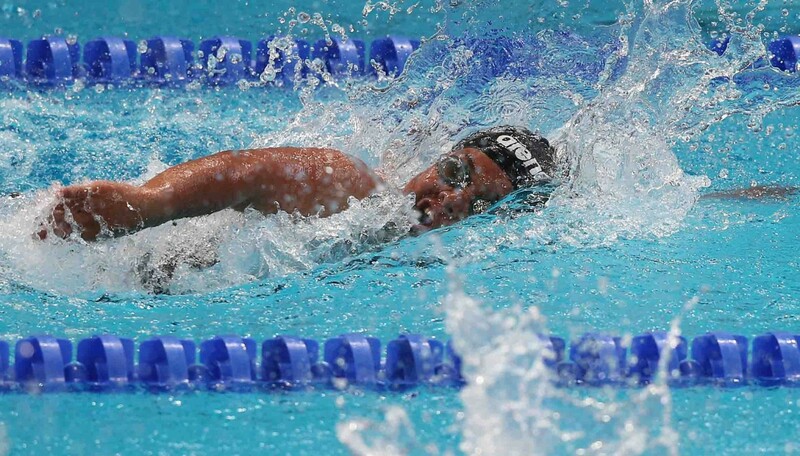 I wanted to get 29 seconds, but updating my personal best is ok for me”, she remarked after the swim, which rounded off a successful World Championships for the Northern Marianas. 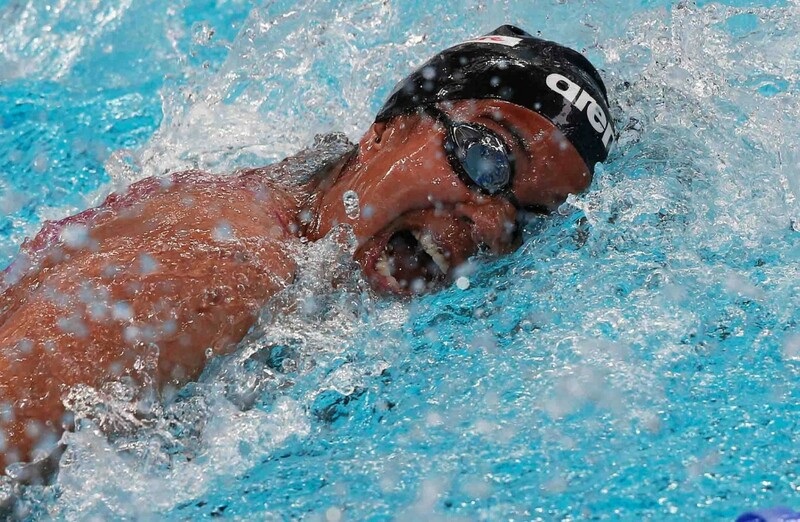 Marshall Islands’ national record holder Annie Hepler came into these championships in good form. 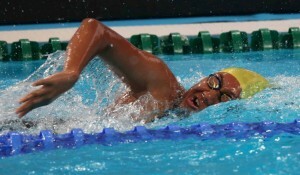 Her time in the final of the recent Pacific Games gave her a national record in the 50m Freestyle. 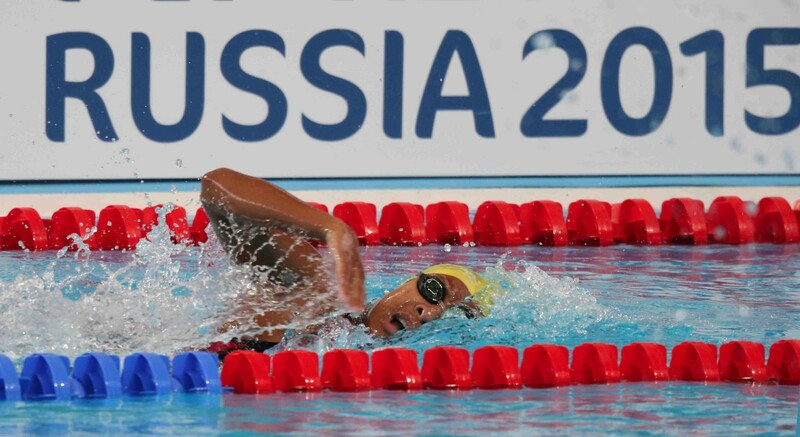 She followed this up with a strong time in the previous day’s 50m Butterfly here in Russia. 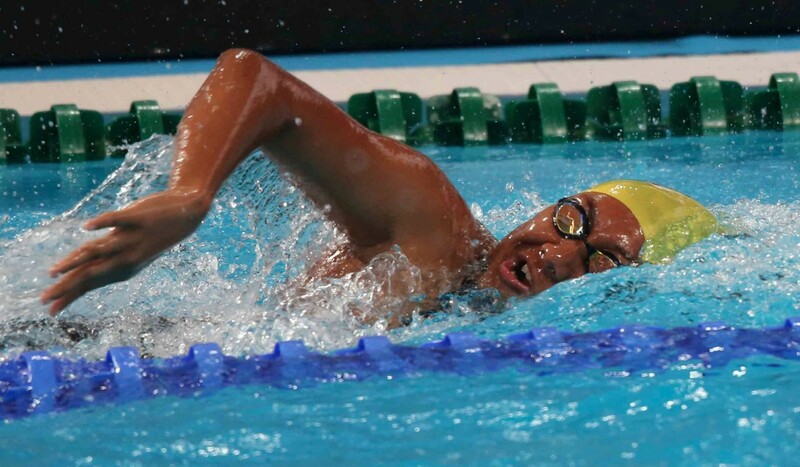 So the scene was set for another attempt on the national record in the 50m Freestyle as she lined up in the same Heat as three other Pacific island athletes from Oceania. 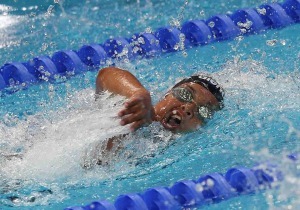 The youngest swimmer from the Pacific islands competing at these championships was back in the pool on Day 7. Palau’s Roylin Akiwo lined up in the Women’s 50m Freestyle. 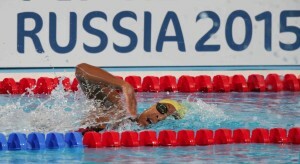 Roylin was ideally looking to break the 30 second mark in the Kazan Arena. So, it was a disappointed Roylin who left the pool having clocked 30.86 seconds. The final swimmer in action for the Cook Islands was Tracy Keith-Matchitt also in the 50m Freestyle. 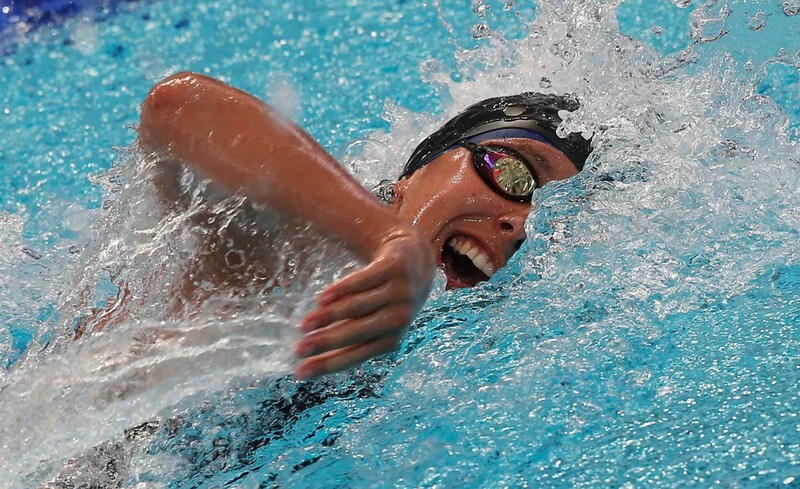 Despite recent injury and illness she was looking to go one better than her 100m Freestyle here, where she finished just outside the top fifty in the world. 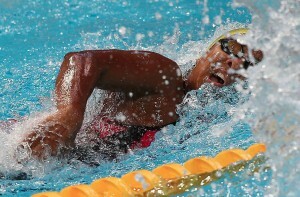 In an event which included seven Pacific island swimmers, Tracy was the fastest of these swimmers finishing third in her Heat with a time of 27.16 seconds. 60th overall. 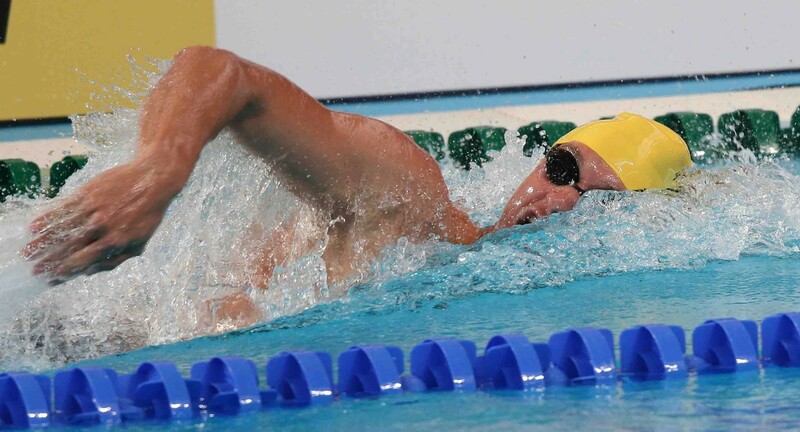 Ryan Pini’s latest individual challenge for Papua New Guinea (PNG) was to navigate the Men’s 50m Backstroke. 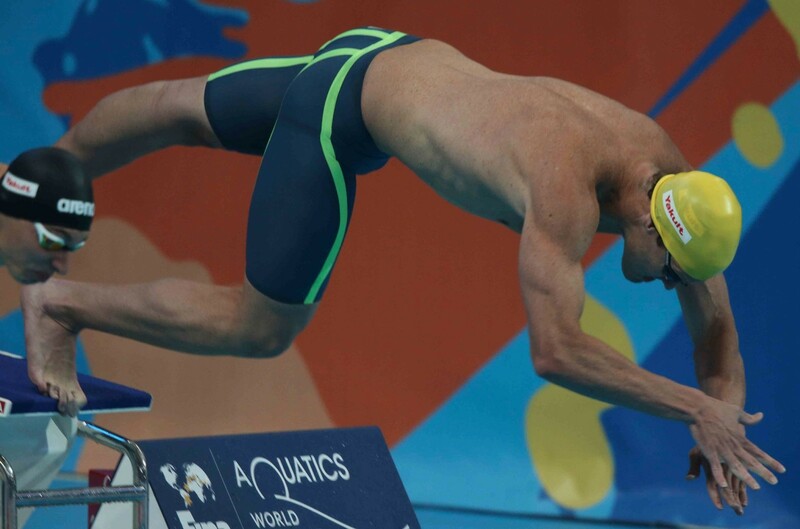 He touched the wall with a time of 26.11 seconds, just inside his time of 26.14 seconds from this year’s Pacific Games in his home nation. 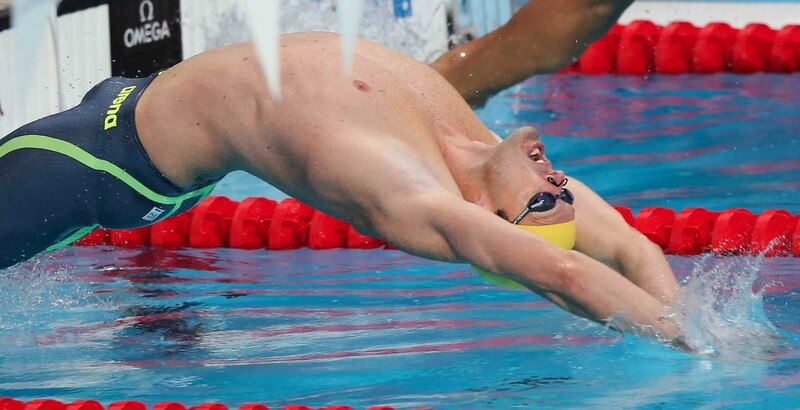 His swim left him a very respectable 35th in the World, and 0.82 seconds off a semi-final spot. “I came into the meet with a few injuries and it was a mad rush to get myself ready for the competition...looking back all-in-all I’ve done very well to be able to pull through it”. However, there is no plan for Pini to give up just yet and with the 2016 Olympics, in Rio, just under a year away, the focus turns to that. “My main event is the 100m Butterfly which for me ‘A’ qualifying would be a 52.40 seconds, so I’d like to be able to do an A qualifier”. For the future of PNG swimming, there is hope, explains the three-time Olympic athlete. “The World Champs is fantastic. It’s the biggest swimming competition in the world. It’s great how there’s so much space and, as a small country we can find our little spot. We’re looking good. We’ve got some strong swimmers and looking at the 2018 Commonwealth Games in Australia which is really close to us, there’s a chance to have a really strong, solid team”. 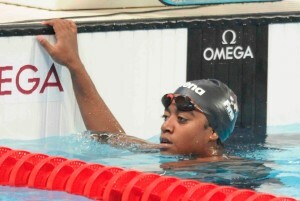 The penultimate race of the championships for Barbara Vali-Skelton, was in the Women’s 50m Freestyle. She competed in this event at the 2014 Commonwealth Games, in Glasgow, and set a time of 28.62 seconds. She narrowly missed out on that time, clocking a slightly slower 28.78 seconds. “ Time-wise it wasn’t very good but it was probably a season best for me. I was happy with my swim but a little bit disappointed,” and when asked about improvement she said: “My dive’s usually slow. Just my underwater work”. For Vali-Skelton the highlight that stands out this week, are the people. PNG were the team set to bring the curtain down on the championships for the Pacific islands. Event 37 the Mixed 4 x 100m Freestyle Relay. Once again the team was made up of Ryan Pini, Tegan McCarthy, Barbara Vali-Skelton and Sam Seghers. Ryan got the team off to a strong start completing the first 100m in 50.86 seconds, with PNG in third place. Tegan and Barbara then completed splits of 1 minute 06.06 seconds and 1 minute 4.02 seconds respectively, before handing over to Sam. 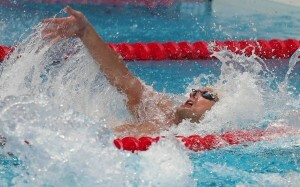 He completed the final 100m in 50.9 seconds. Sadly, he had broken early on the final change and the team were disqualified, which brought a disappointing end to their hopes of a national record. There was a mix of understandable disappointment and team pride in the Press Area afterwards. 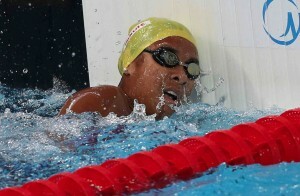 Irene Prescott’s final swim for Tonga in Kazan, came in the Women’s 50m Freestyle too. 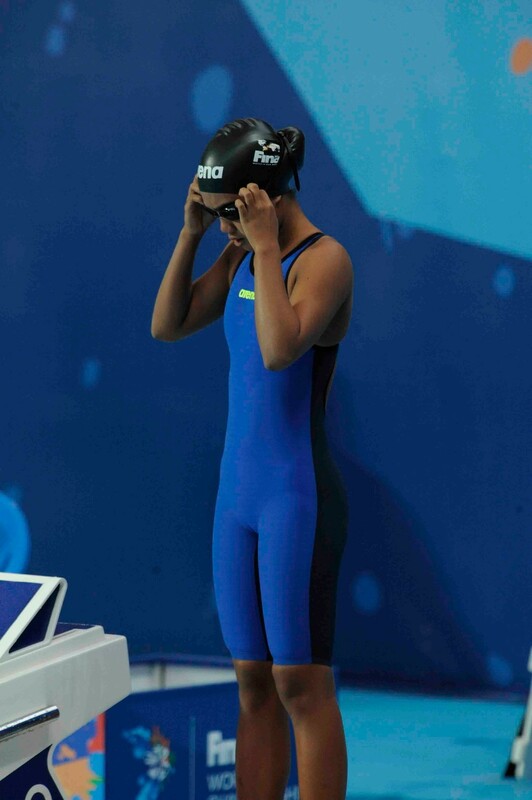 She had previously competed in the same event two years ago in the same competition in Barcelona. There she finished the race with a time of 28.19 before heading to the 2014 Commonwealth Games, in Glasgow, and setting a time of 28.77. “It was alright. It was my last race so I felt pretty good... I think my start was good”. “Definitely the pull of the water and putting everything together. The concluding comment from the twenty-one year-old Tongan was complimentary about the championships. “The Worlds is always a special time. It’s especially great to see all the World Records being broken”. This article was produced by Mike Marron of The Reporters' Academy, a media production company run by young people, tasked with the mission of telling the stories of Oceania's swimmers at the World Championships in Kazan. The Reporters' Academy is integrated into the world of media, education and employment, dedicated to changing the lives of young people across Oceania and the UK.